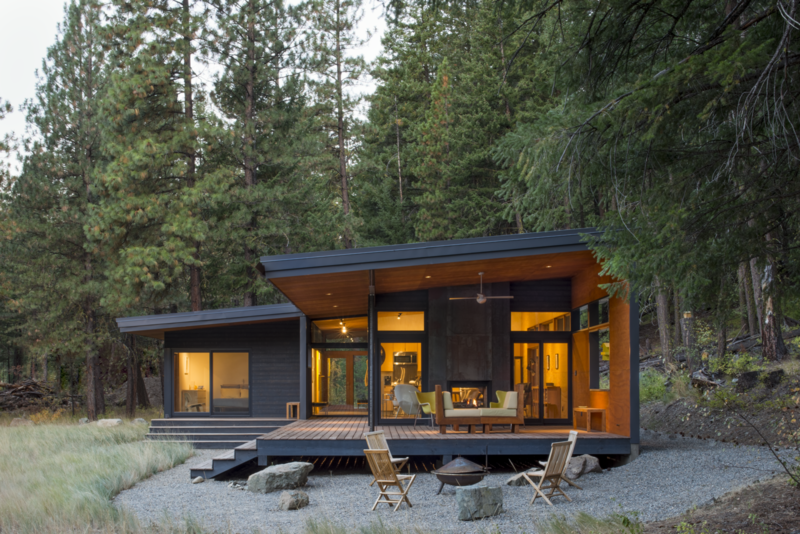 In Washington’s Methow Valley, a modern cabin with an outdoor living room allows views of the surrounding woodland and meadow to perforate its volume. By day, the Chechaquo Lot 6 cabin gives the impression of floating in a forest clearing; by night, its windows glow against the wooded darkness. From all vantage points, the landscape permeates this 1,000-square-foot cabin, designed for two outdoor enthusiasts and tucked at the toe of a dramatic slope in Winthrop, Washington.